Jumping developed after fences were put up in the english countryside, leading foxhunters to require horses that could jump. The discipline, as we know it today, developed as a result of competition among fox hunters, following the introduction of the Enclosures Acts that came into force in England in the eighteenth century. Previously, hunters would gallop across open fields in their pursuit of foxes. But when fences were erected following the Acts, a new and much desired trait took the fore - the jumping horse. 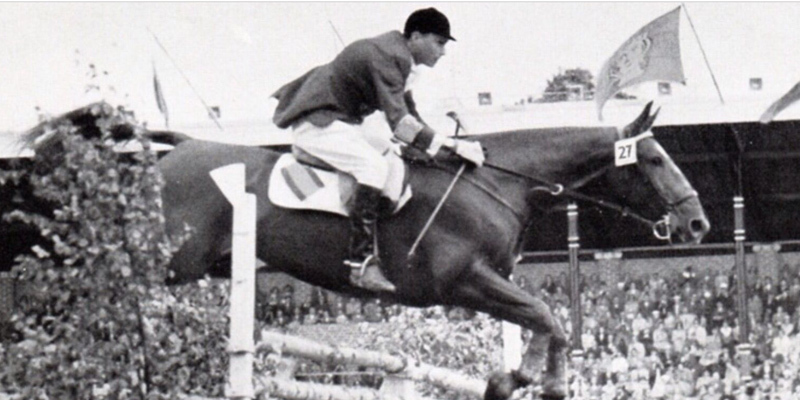 Many regard Italian Federico Caprilli as the “father of modern riding”, a status he earned by revolutionising the jumping seat. Before him, riders would lean back and pull the reins when jumping a fence. However this technique was awkward and uncomfortable for the horse. Caprilli’s solution was the more natural “forward seat” position. This technique is now universally used. The sport was born in the 18th century by fox hunters when England introduced fencing laws. To win the first place, the rider and his horse must complete the course as quickly as possible without making any mistakes. In fact, if a fault occurs the rider receives a penalty and loses automatically four points per mistake.